The Target Saver: Target: Kinder Joy Chocolate Eggs, Only $0.50 Each! 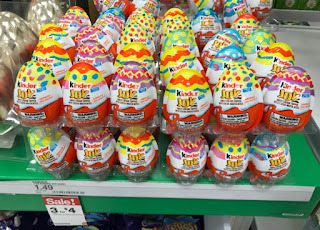 Target: Kinder Joy Chocolate Eggs, Only $0.50 Each! This week Kinder Joy Chocolate Eggs are on sale at Target!